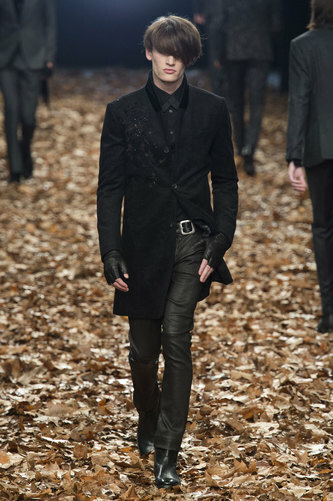 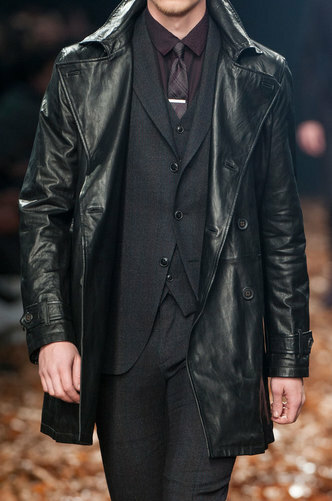 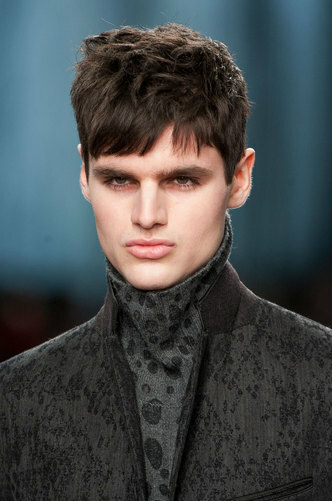 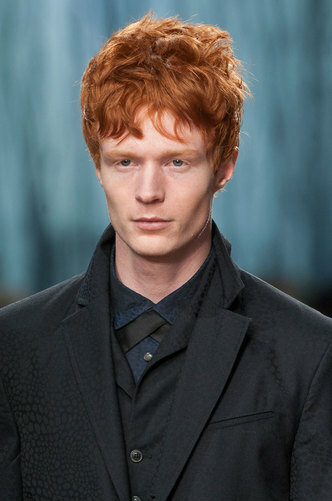 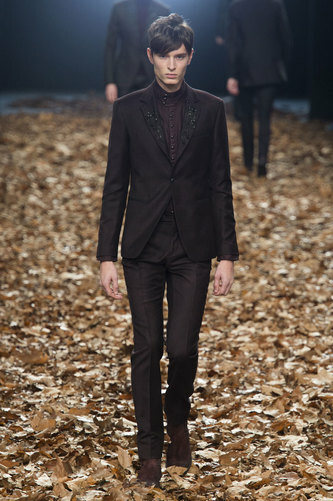 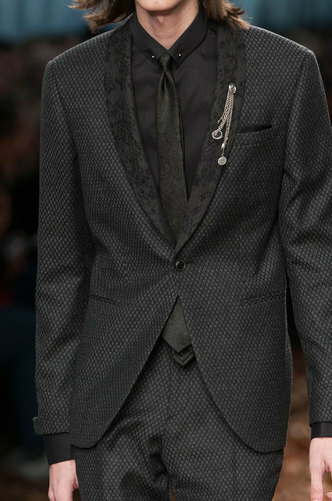 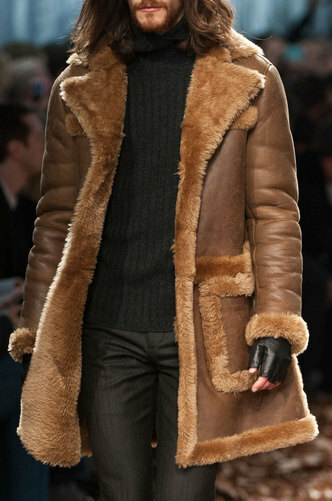 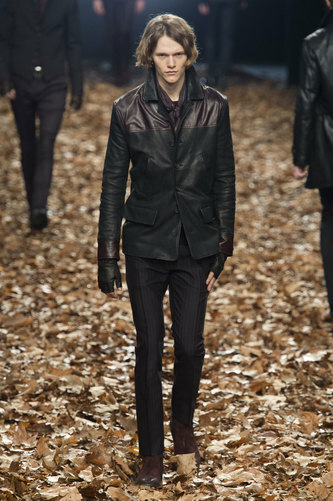 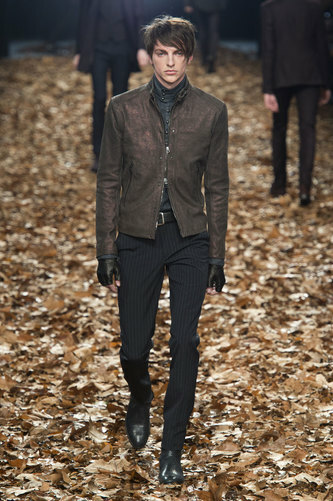 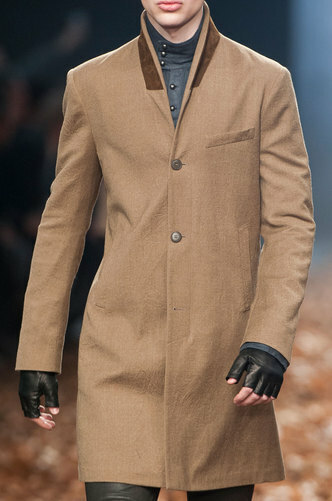 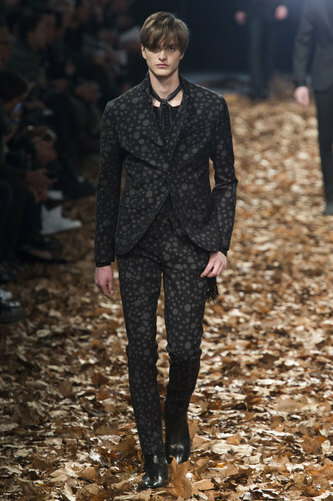 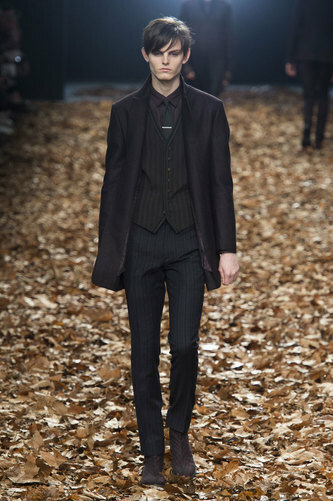 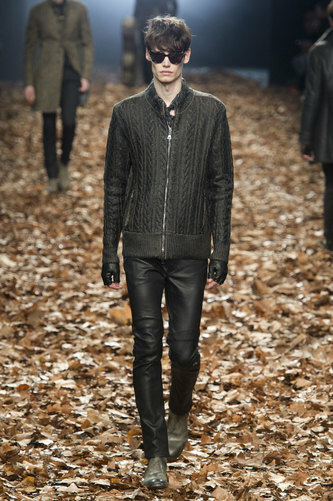 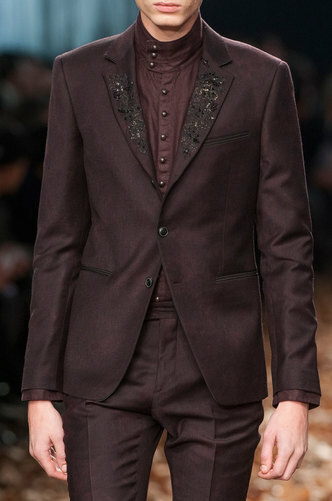 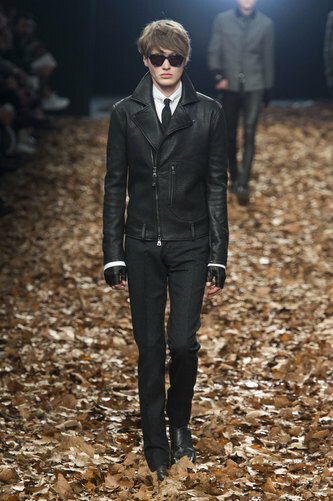 John Varvatos Man Autumn-Winter 2015-16 – John Varvatos collection is inspired by Bob Dylan, timeless fashion icon. 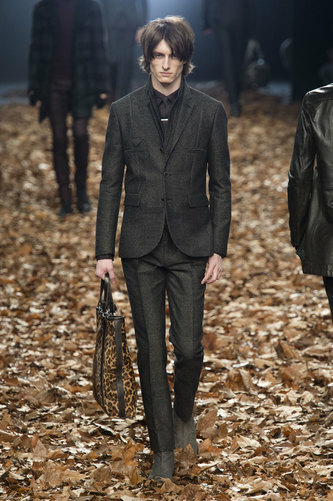 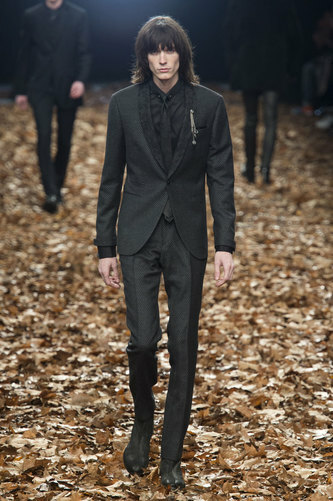 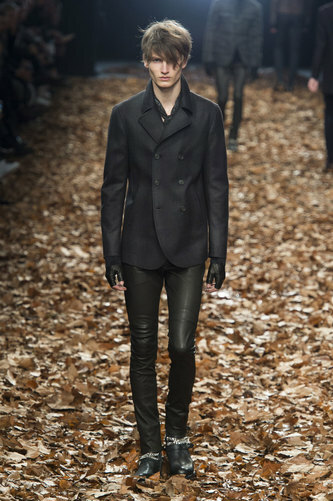 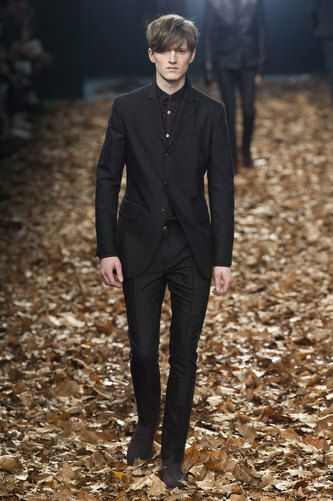 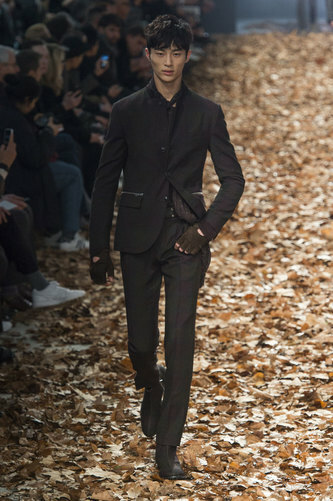 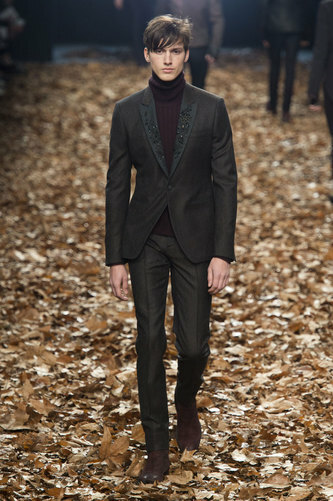 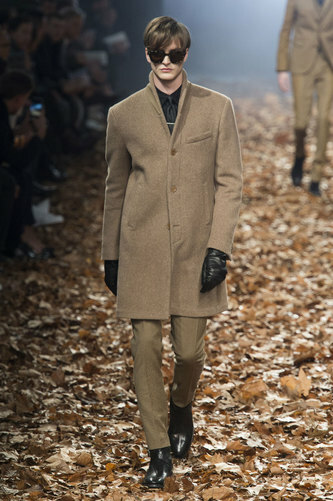 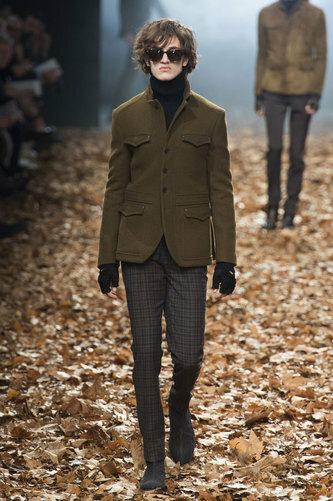 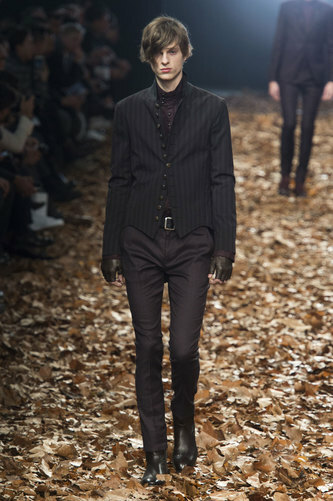 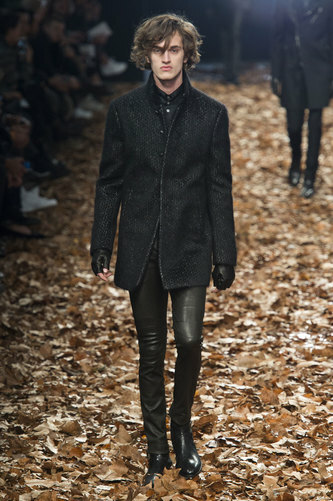 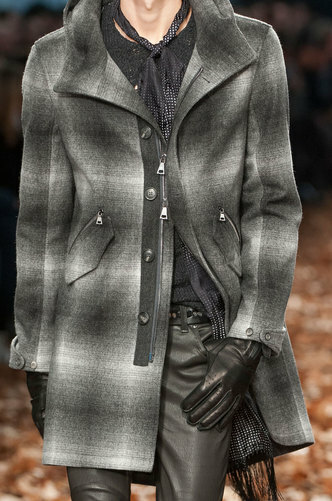 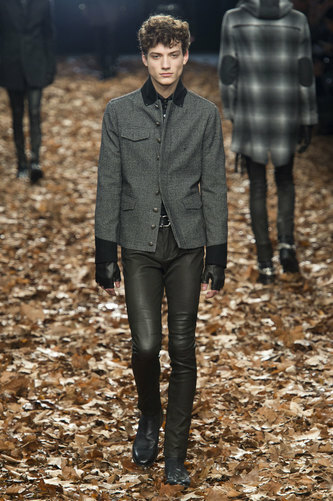 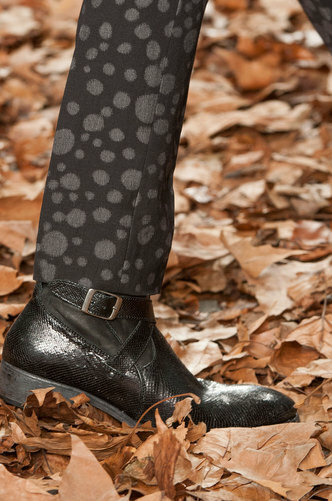 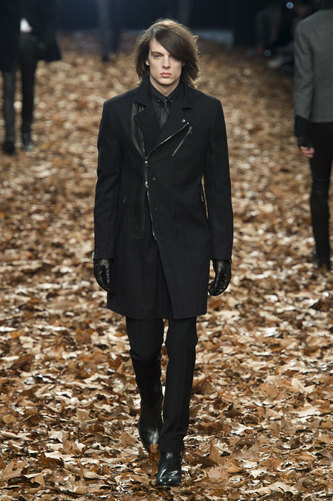 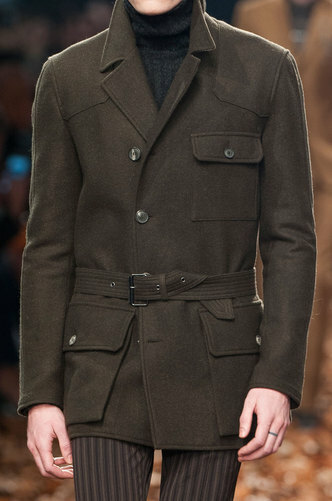 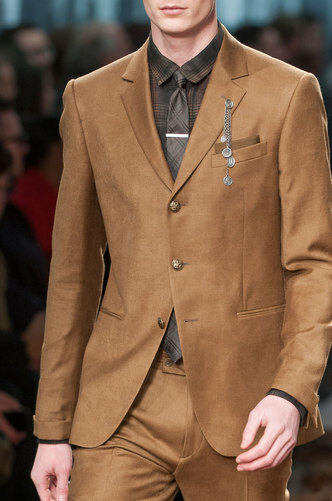 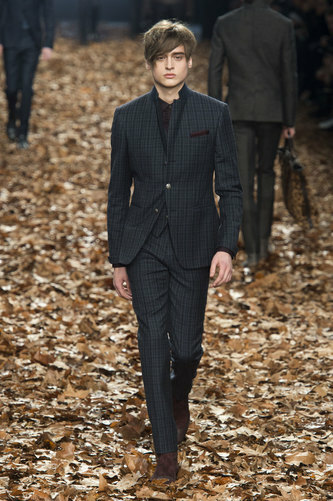 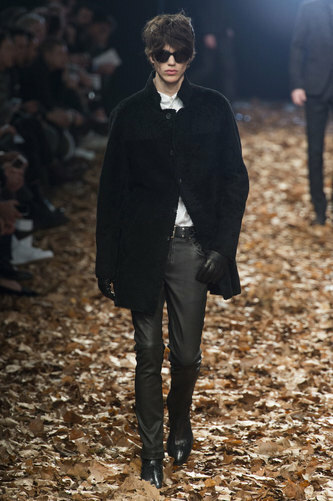 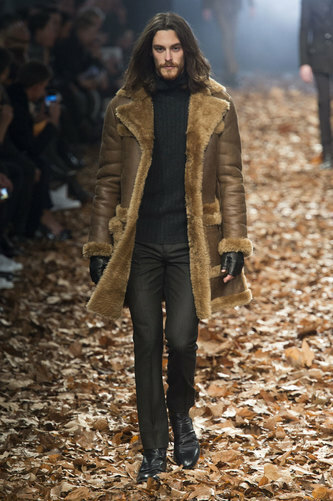 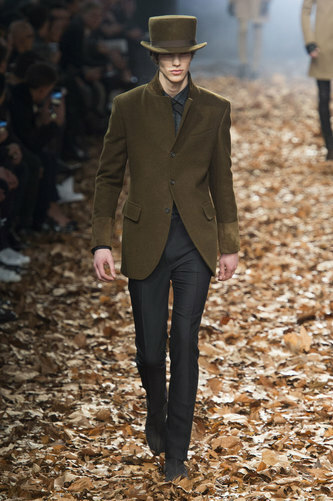 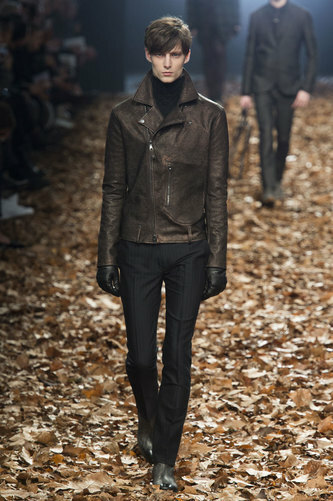 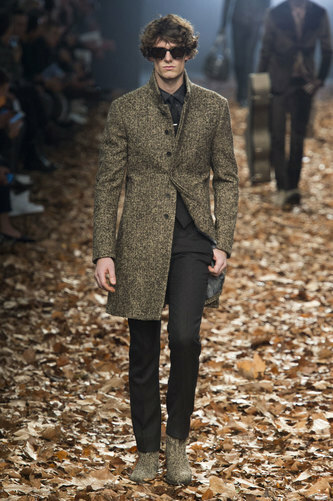 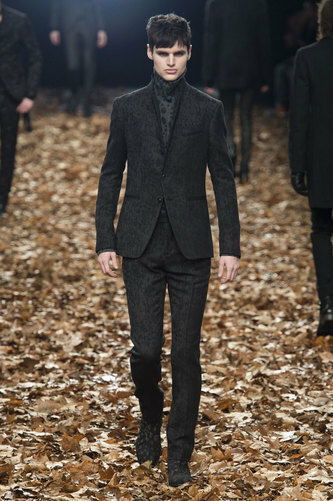 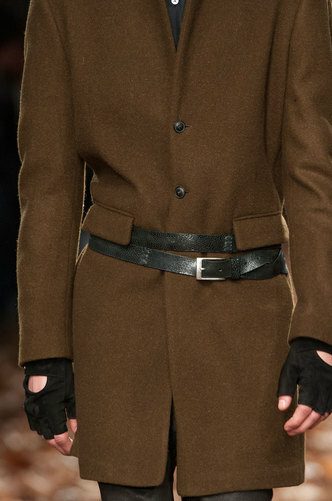 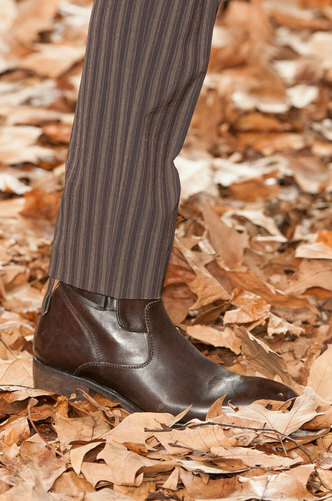 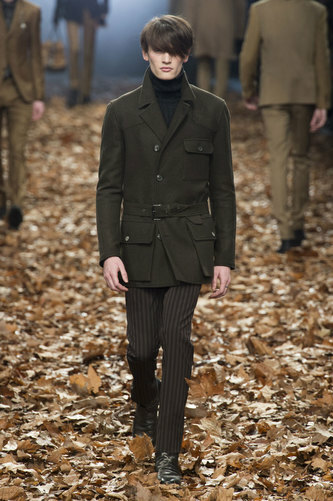 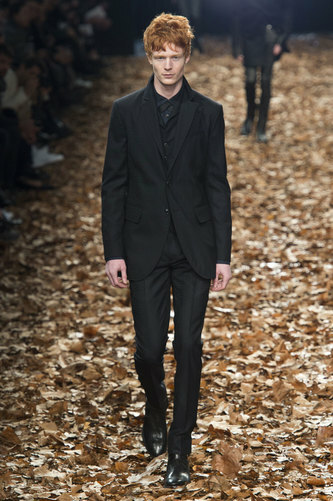 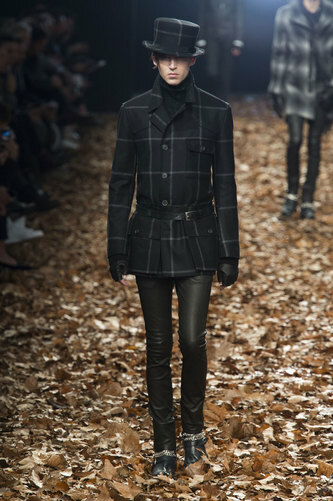 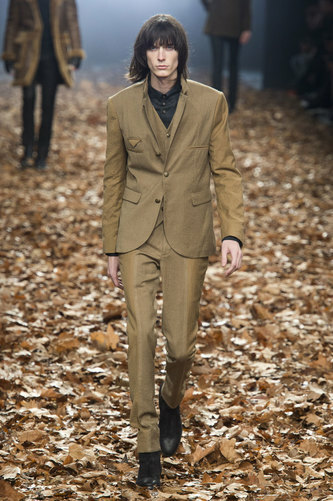 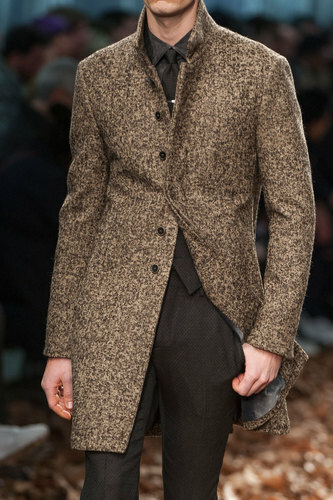 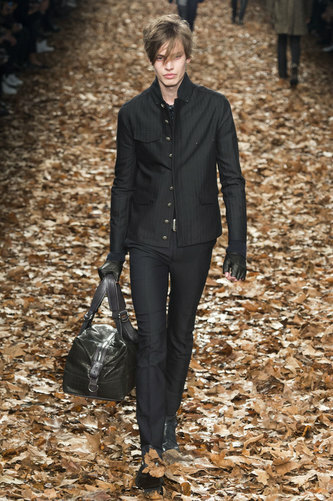 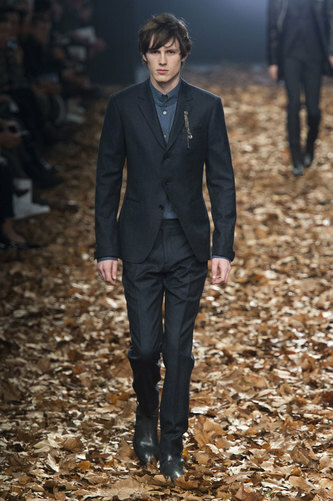 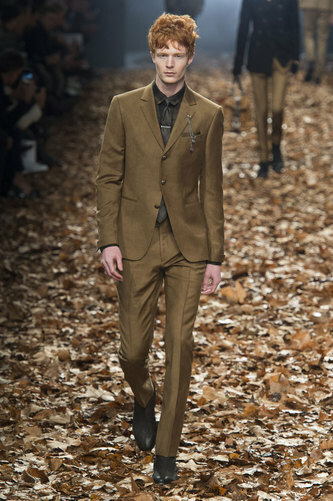 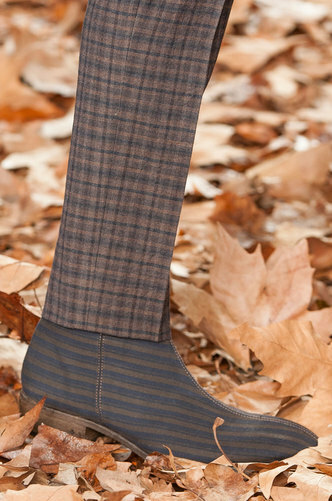 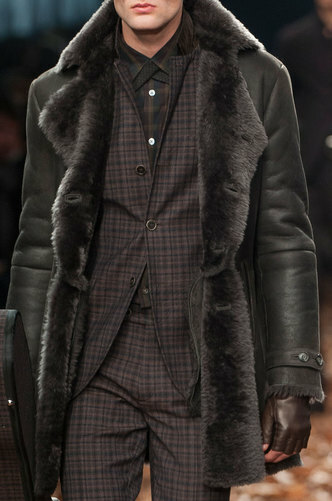 The modern dandy man walks on a runaway covered by autumn leaves, an echo of New York’s Central park. 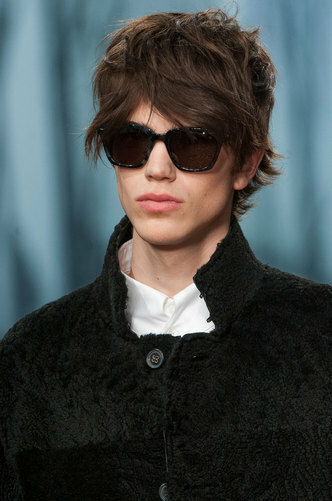 The American stylist represents a contemporary artist who combines classical garments with rock’n’roll details. 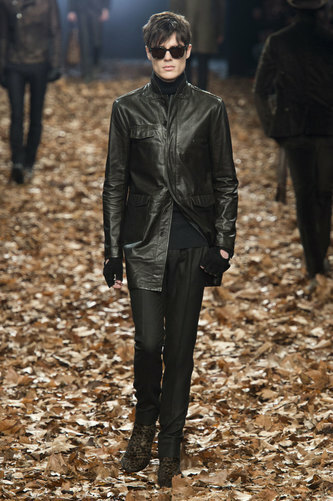 Leather leggings are the stylish alternative to classic skinny pants. 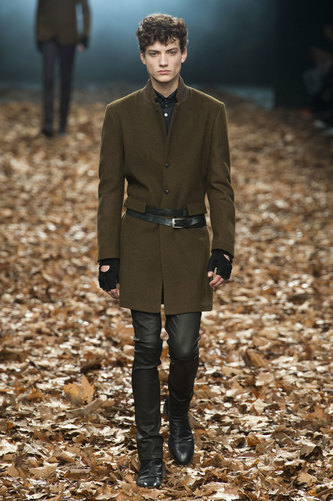 Fingerless gloves coexist with top hats, dandy one-time staples. 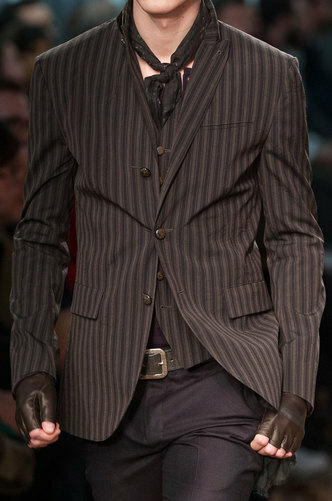 The silhouette is well defined by cinched height of the waist. 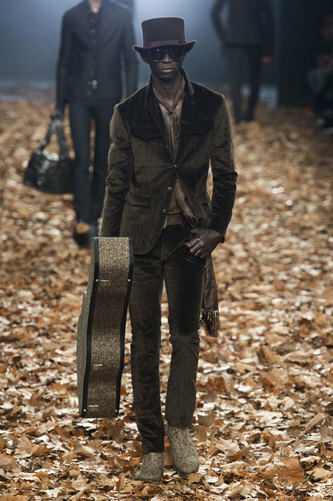 John Varvatos calls to mind the Bob Dylan image consecrated by the photographer Richard Avedon: he represents a young man aware of his own style. 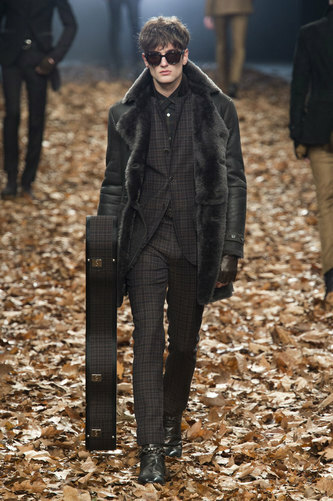 Guitar suitcases are matched with the suits patterns.The designer uses stripes and crossed lines textiles.